An endearing and heartfelt drama. Brilliantly written, nicely shot and well acted. Against the backdrop of the impending Second World War, a young orphan Liesel Nieminger (Sophie Nelisse) finds solace in stealing books as well as hiding a Jewish refugee, Max (Ben Schnetzer) who is being sheltered by her adoptive parents. 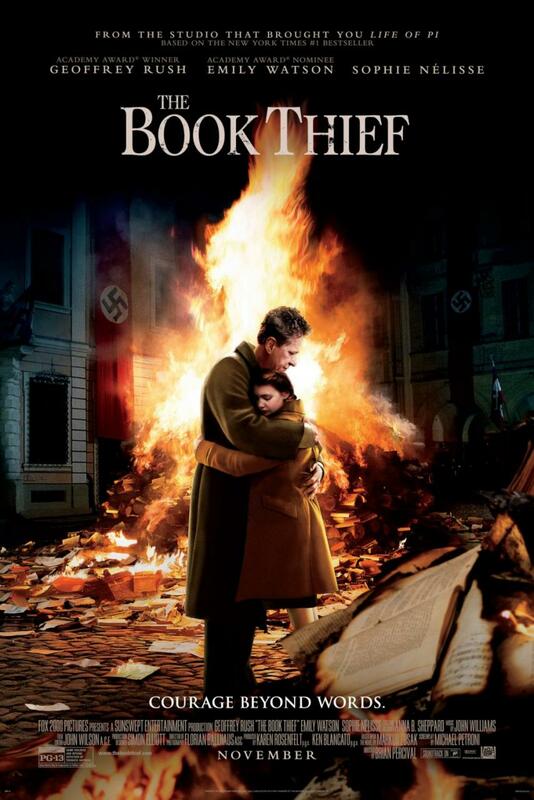 I’ve never read Markus Zusak’s best selling novel BUT certainly want to now after watching this. A brilliant narration from Roger Allam (V for Vendetta) accompanied a sobering and dark opening sequence as Liesel met her foster parents for the first time; the instantly loveable and easygoing Hans (Geoffrey Rush) and stern and frumpy Rosa (Emily Watson). It allowed for an easygoing first act as she adjusted to her new home and made friends with the eager Rudy Steiner (Nico Liersch). BUT also enemies with the delightfully unpleasant bully Franz Deutscher (Levin Liam). 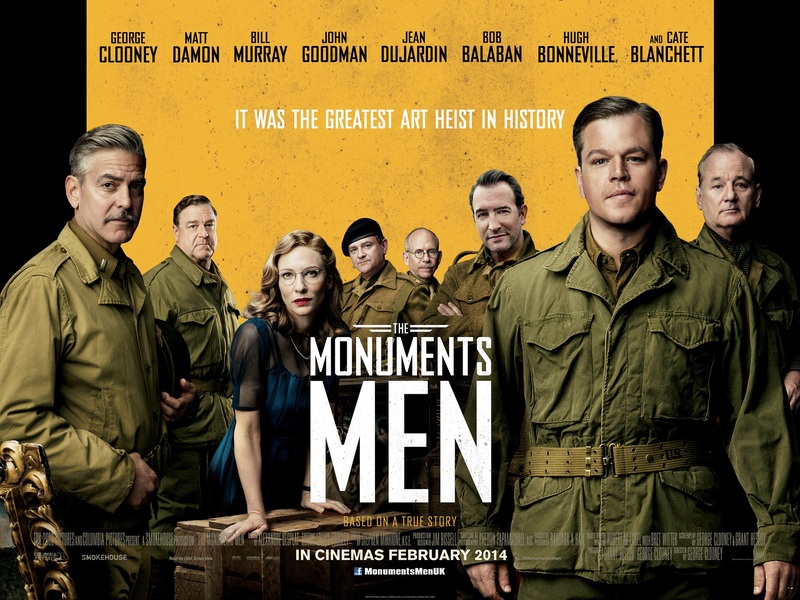 The film subtly built up to the impending war. It was an interesting transition as it soon took a toll on the community. At 131 minutes, there were parts where the film did dip BUT it was still riveting and beautiful to watch. Once Max (a fantastic debut from Schnetzer – Pride) entered the mix, the film branched out and made for an endearing, suspenseful and engaging war drama. Nelisee is a good little actress and carries the film well. She is definitely going to be one to watch for the future. It’s always important that these dramas have characters you can root for and care about. The supporting cast were perfect. Rush and Watson were fantastic as her sparring foster parents. Liersch and Nelisse had great chemistry as the childhood companions desperate to keep hold of their friendship as the war takes those around them. My main qualm with the film was that it breezes over crucial turning points in Hitler’s regime. We all know some aspect of the man’s madness. BUT we’re also NOT history buffs. We’re all aware of the horrendous treatment of the Jews BUT may not necessarily know the Night of the Long Knives. The overlong pace may test some. The first hour may have been a little schmaltzy BUT it still delivered a harrowing finale. The only problem was that it felt a little abrupt and left too many questions about certain protagonists. There could have been a little more time spent on explaining and been better for it without spoiling anything. However, I still went in, NOT sure what to expect and was pleasantly surprised. Definitely one of the better films.